Hey people. Your favourite devil is back again. This is no doubt going to be a classic encounter between two of the most consistent teams over the last 5 seasons in Europe. For some of the players it’s a champions league final, for some it’s another champions league final. Barcelona and Man Utd have between them 3 Champions league trophies each. Before today’s game both sides have met 10 times in the past but this is going to be the 2nd final between them. Both have won 3 each and drawn 4. So really it’s all about bragging rights. Both sides won their 1st champions league trophy at today’s venue (Wembley stadium). I would have loved to see this game with my peeps in Lagos. I so miss their jibes and taunts when Man Utd isn’t playing well and how they blame United’s victories on the ref. 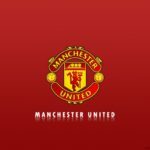 Man Utd and Barcelona have players that have won lots of major honours but United’s Ryan Giggs leads the line with 25 major honours won with the club, Paul Scholes comes close with 19 honours and goalkeeper Edwin Van Der Saar has 18. All these honours include the Champions league, league, FA cup , club world cup and league cup medals. The players from Catalonia are not left behind in the audit trail. Xavi and Iniesta who happens to be my best player at the moment (yes I am objective like that) have won 14 trophies with Barcelona and Spain leading the line for most medals won by Barca players. However Lionel Messi who is presently the best player in the world and still just 23 years old has most laurels combined with 17 personal awards asides his 12 trophies won with both club and country. Tonight the footballing world will witness what is arguably the biggest game yet and the winner pockets a whooping £70m while the runners-up walks away with £65m. So win or lose money is made. United being on the receiving end of the last meeting between both sides will have to step up their game if they are to win this. A few of my friends that support Arsenal want a United victory. Trust me if I was a Gunner I would be rooting for Barca. Why would I want the success of my closest rival? That is that, I go down like that. 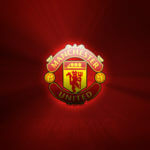 I am not an all English club fan, I support Manchester United alone (though I fancy Aston Villa and Newcastle). The noise about how Man Utd were going to stop Messi has been the major talking point all over the world but in my own opinion I think it is stopping those that will get the ball to Messi that is key. Iniesta and Xavi must be stopped in order to reduce the threat of the little man. After losing the 2009 final to Barca, Sir Alex was heard saying Xavi and Iniesta never give ball away. It was also rumoured at a time that Xavi was fined whenever he misplaces a pass, hence the tag “pass master”. United also have quality ball passers in Paul Scholes and Carrick. Barca’s coach was heard saying Scholes is the best player of generation. Xavi also hailed Scholes as the best midfielder of the last 20years. I see all this as the regular mind games that occur before feisty encounters of this nature. Though I have faith in the Red Devils and with the way Rooney and Chicharito have played this season Gerard Pique and Javier Mascherano should be prepared for the fight of their lives. I am a Man Utd fan and I know this game can go either way, but I believe whoever gets the 1st goal wins the game. Barca has been regarded as the home side so they get to wear their regular home kits while United would be wearing white. I wonder how Barcelona is made the home side in England. I am not superstitious but I hate it when the Red Devils wear something other than Red. Barcelona have an attack line that boasts of over 100 goals this season. Man Utd have more victories in this season’s champions league. They won 9 of the 12 games played and 3 draws. Barca won 8 of 12 games with a loss and 3 draws but have scored more goals with 24 scored against United’s 18. United have conceded the least goals with 4 let in and Barca conceding 8. This is going to be Van Der Saar’s last game for the Red Devils and he would want to bow out with a 3rd Champions league trophy. Barca’s starting XI comprised of Valdes, Alves, Abidal, Pique, Mascherano, Busquets, Xavi, Iniesta (I hail thee), Pedro, Messi and Villa. United’s line up had Van Der Saar, Fabio, Rio, Vidic, Evra, Park, Carrick, Giggs, Valencia, Rooney and Chicharito. The 1st half started with Man Utd dominating the 1st 10mins of the game. They had a couple of chances and would had gone ahead when Pique and Valdes had a little misunderstanding in the 9th minute. From then on it was all about the Catalans. If passes were goals then I wouldn’t bother writing this diary. This Barca side is awesome. They play with so much confidence. They would have scored 2 goals in less than a minute going by the chances they had in the 20th and 21st minute. Barcelona took the lead in the 27th minute when the pass master (Xavi) put Pedro through. The game wore on with Barca still dominating. United tried getting back into the game and their effort was rewarded with a classy equaliser from Rooney in the 33rd minute. I must point out Valencia has chosen the wrong game to mess up. I think Nani should come on. Chicharito was his bubbly self but Messi was tormentor in chief of the 1st half and Iniesta anonymous. Barca picked up from where they left off in the 2nd half. The knocked the ball around so well, I got dizzy at a point. Barcelona scored a 2nd in the 54th minute and it was no surprise who scored, Lionel Messi. It was a shot from outside. Van Der Saar was a bit sloppy in my own opinion. This goal didn’t deter Man Utd as they kept attacking. Nani came on for Rafael in the 69th minute. Valencia moved to the right full back position. Not long after the change, David Villa curled in a 3rd goal Barcelona and from then I knew it was game over for Man Utd. Scholes came on for Carrick in 77th minute. His introduction had little or no impact as the Barca defence were having none of the United boys’ threats. Game ends 3-1. Barca deservedly won the game. United put up a good fight in all honesty but Barcelona was pure class. Big ups to Guardiola and his army. They win a 4th Champions league trophy. Man of the match for me was Messi (hate to admit) with Xavi close by. Villa, Busquets and Pique also played well. 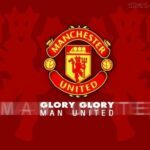 I will also mention, Man Utd’s center backs (Vidic and Ferdinand), Rooney and Giggs. No excuse for United’s loss. How can I come up with an excuse? An all star team would lose to this Barca side. They play football like they are having a training session. Even perennial under achievers (Arsenal), were made to look like school boys despite their similarity in style of play. Big shout out to my bosses for the support. Tyler and Jazz.